That lab is the International Space Station. In January, the Obama Administration announced an extension of the International Space Station until at least 2024. The extra time allows NASA and other space agencies around the world to pursue a number of important goals. She adds that medical research for astronauts helps people on Earth, too. Treatments for bone loss and muscle decay, and advances in telemedicine are just a few of the spin-offs that have made their way into hospital rooms since the ISS program began. 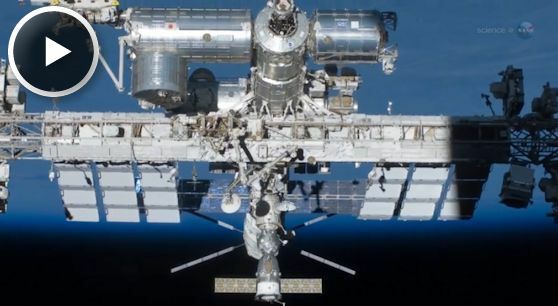 As the next ten years unfolds, a menagerie of “model organisms” will join astronauts on the ISS for advanced life science studies. New “crewmembers” include weeds, fruit flies and rodents—all of which share surprising amounts of DNA with humans. “By studying these organisms in microgravity, we will learn a lot about ourselves,” she says. Although Robinson has a degree in biology, some of her favorite experiments are in the area of fundamental physics. For instance, she says, "the station’s Alpha Magnetic Spectrometer program, led by Nobel laureate Samuel Ting, is poised for breakthroughs on the nature of dark matter." Another exciting project is the Cold Atom Lab, slated for flight in 2016. "We are going to create the coldest spot in the known universe inside the ISS," she says. "This will allow researchers to study exotic forms of quantum matter such as Bose-Einstein condensates." The station’s 10-year extension also boosts the development of America’s homegrown commercial space program. SpaceX and Orbital Sciences Corp., which have contracts to supply cargo to the station, can now look forward to competing for future contracts. SpaceX, Boeing and Sierra Nevada are also interested in launching crews to the station by 2017. As commercial providers provide access to Earth orbit at lower cost, we move toward the day when scientists will travel to space to do their own experiments, first-hand.